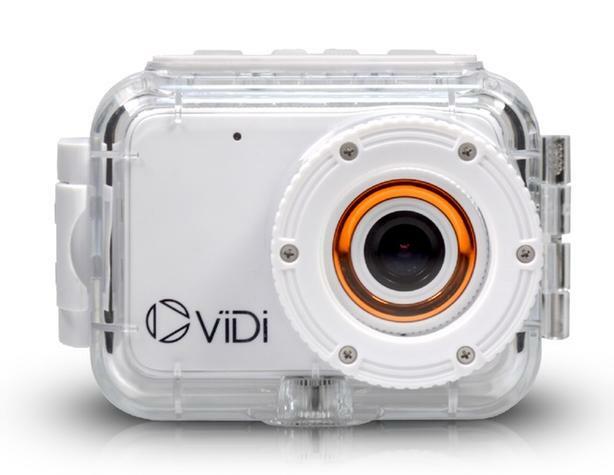 Collection of 'Smart Cameras for You' for your everyday use, on the go, adventures and outdoors from all over the world. 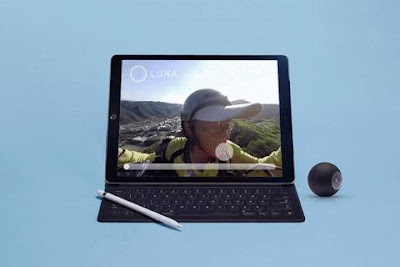 Luna: Luna is a compact 360° camera that lets you record and share 360° images and video. It easy to use, comes with a single button interface and has no moving parts. 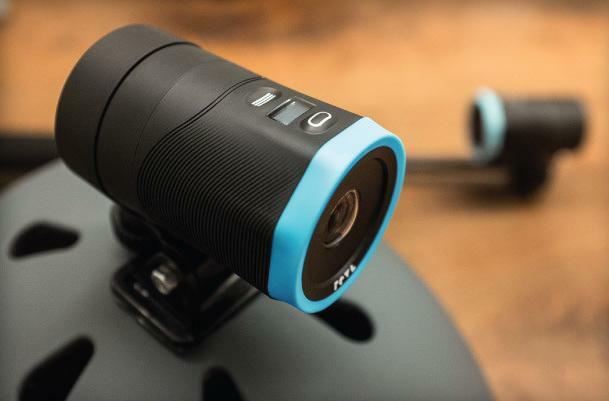 It features a dual 190° fish-eye lens technology, is waterproof, comes with gyro-stabilization, and more. Its perfect for your adventures, memories, and creativity. 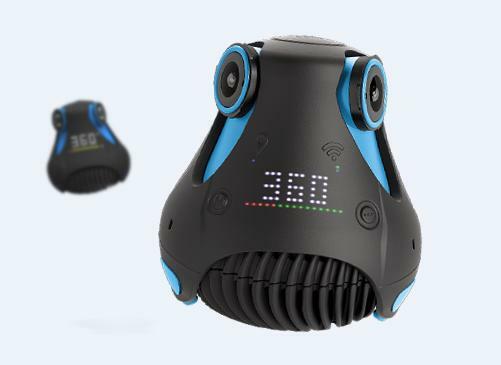 It also features built-in Wi-Fi that lets you to interactively preview 360° footage on your smartphone, wirelessly save it on your devices, share it on social media, and even live-stream moments in 360°. And using the Luna Cardboard and Luna's app, you can view your videos in immersive virtual reality. Pre-order: $299. Mokakam: Mokakam features ultra-high definition imaging technology, records video in full 4K ultra-high definition, comes with integrated high definition microphone, wide angle 152 degree field of view and 16 mega pixelsensor. With this one you don't need to worry about running out of juice; just continue recording for another hour by just putting on another pack. 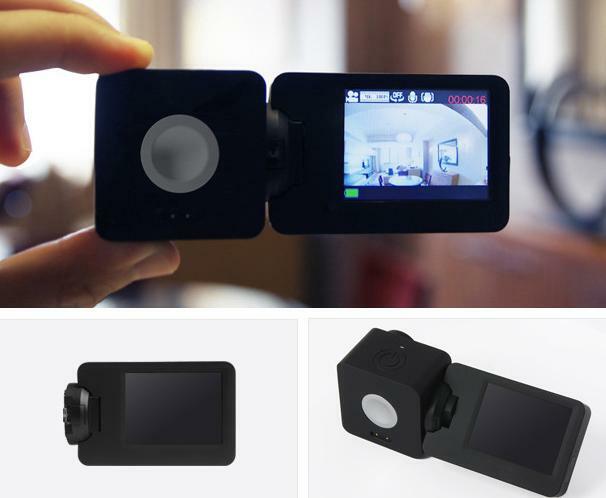 You can even addon screen; a 270 degree rotating screen lets you record from any angle. It can automatically detect if anything is moving and starts recording. You can stick it to any metal surface using its strong magnet. Pre-order: $199. 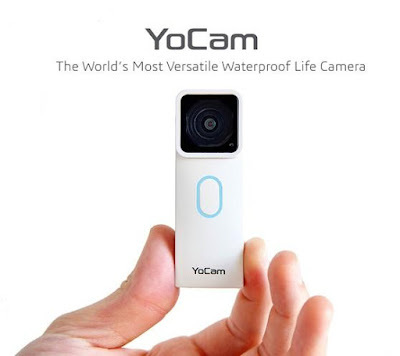 YoCam: This tiny waterproof camera has set to replace your GoPro, DropCam, baby monitor, dash camera and more. 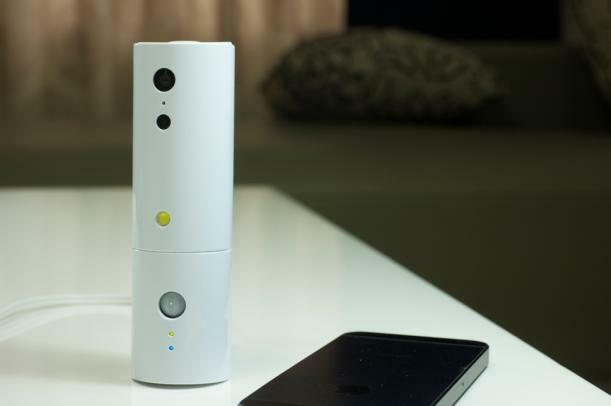 This all-in-one smart camera will accommodate all your daily needs; its powerful, versatile and affordable. It weighs only 2oz, with IP68 rating, features HDR imaging, Wi-Fi and Bluetooth 4.0, One-Click Photobook and more. Buy Now: $ 199.99. Giroptic 360cam: Giroptic 360cam takes pictures, live streams, makes videos, and is compatible with Virtual Reality. It takes 2K video at 25-30fps, and 4K photos. The footage can be viewed on any screen without any external processing software. Buy Now: $499. Vidi Action Camera: Vidi Action Camera is designed to put Pro-Grade results within everyone's reach. It features True 1080P video resolution, built-in microphone, rear display, 4GB micro sd card, extension pole, and more. Just one other thing it floats. Buy Now: $99. UP&GO Aerial Camera: UP&GO Aerial Camera is a HD Action Camera with GPS auto-follow that takes off from your palm, and lands right back to your palm, and follows you. 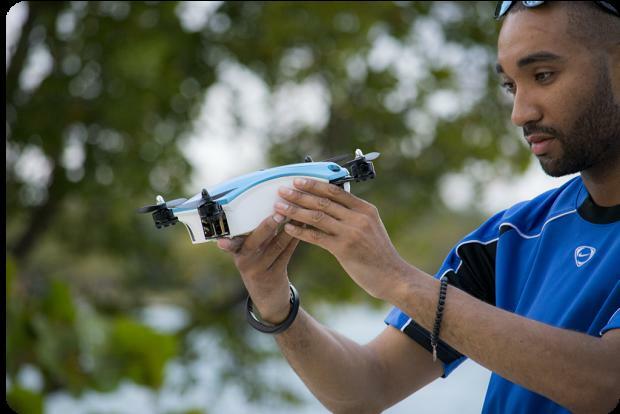 It comes with five professional cameramovements that ensures your personal aerial videos look awesome and incredible. It has 400 ft max altitude, 1600 ft max range, 20 minutes flight time and 15 m/s max speed. Buy Now: Pre-order: $299. Perfect Memory Camera: Perfect Memory Camera is a small yet powerful camera that comes packed with 128G-memory capacity and pro features. It features autoedit and is wireless, EDC and perfect for Instagram and Snapchat. 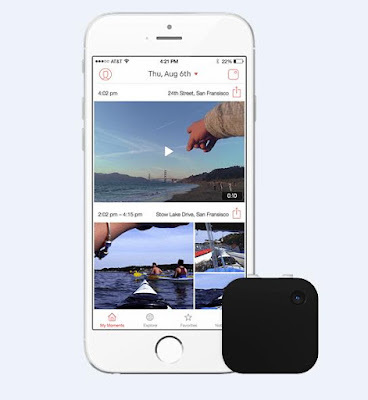 It lets you save video highlights on the go - after the events transpired. 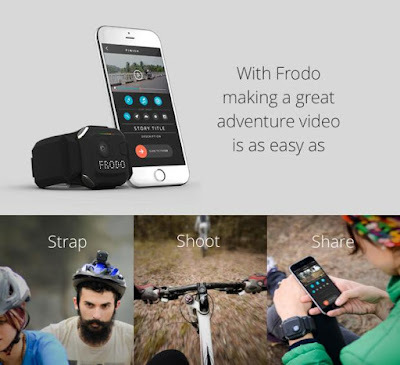 Use its app to instantly share your photos/videos on social media. Pre-order: $99. 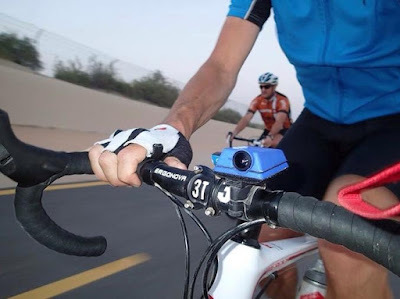 Revlarc: It's a smart action camera that records 4k video, lets you share your footage instantly, waterproof up to 3 meters, features assisted editing, 150 degree field view, 12 mega pixel imagesensor, combines both electronic and physical stabilization for fully stabilized action camera. It's built for action and adventure. Pre-order: $399. 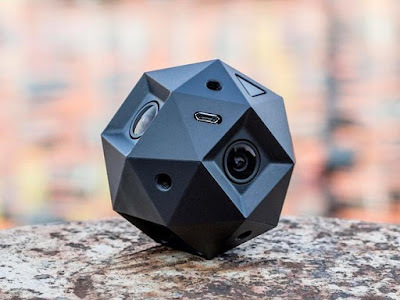 Sphericam 2: Sphericam 2 is a spherical, 360º camera that lets you record everything around you in high resolution, and you can watch the resulting videos on a VR Headset (like Oculusrift, Samsung Gear VR or Google Cardboard) or on your iPad, laptop or smart phone. It provides global shutter at 60FPS and 4K, and 100% spherical recording. Pre-order: $2,499. 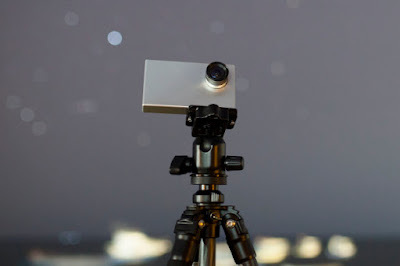 Tiny1: Tiny1 is a compact and small astrophotography camera that makes it easy for you to reach the stars. It's small, smart, and social. It lets you plan, take photos and share it with your friends. It's compatible with the lens and telescopes available in the market. It measures 113mm x 69mm x 22mm. Pre-order: $449. Barnacle Action Camera: The Barnacle Action Camera records in Full HD, lasts two hours, features Wi-Fi, and is built to last. Pre-order: About $ 151 (A$199). 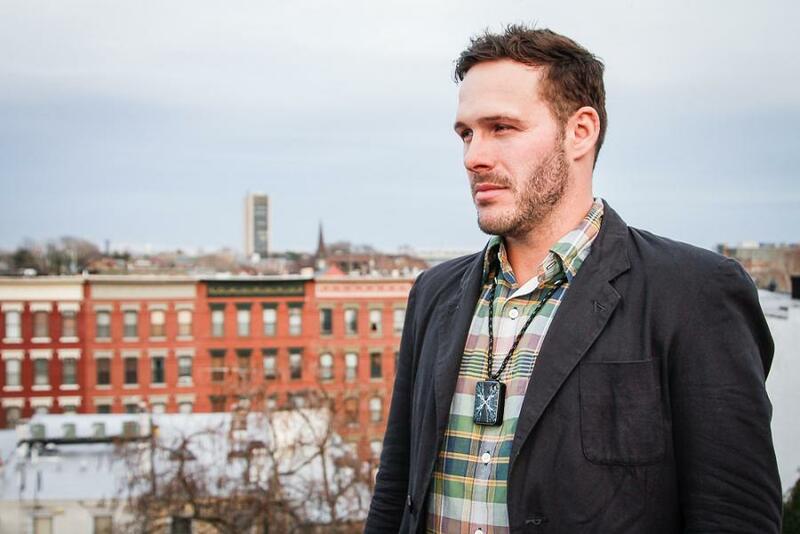 Koova: Koova is a small robotic camera that features auto-tracking abilities to keep you safe. It comes with Amaryllo's famous auto tracking abilities and many more features. More info.